The number one question most homeschoolers ask is, "What homeschooling curriculum do you use?" Choosing a homeschool curriculum can be the most difficult decision next to deciding to homeschool. Here are some steps for finding the best home school curriculum for your child. What are Your Family's Needs and Goals? Before looking at home school products, evaluate your family in the following areas. Family Size - How large is your family? How many school-age children will you teach? How close in age are your children? Do you have preschoolers, toddlers and babies to care for? Do you have older children who can help you attend to your little ones? Family Structure - Do you plan on working and homeschooling? Does your spouse work long hours or travel for a living? Does your spouse have a flexible schedule? Do you live near extended family members? Lifestyle - What happens on a typical day in your home? Do you have a carefully planned schedule or do you make plans at the last minute? Does your family prefer staying at home or staying active in the community? What challenges do encounter on a regular basis? Describe your ideal day. Goals - Why are you homeschooling? What do you want your children to be like as adults? What do you want to teach your children? Rank your goals for your children in order of importance in the areas of religion, character, academics and life-skills. 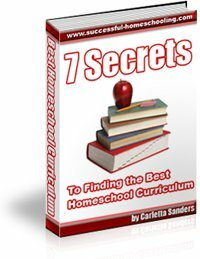 What Type of Home School Curriculum do You Need? What subjects will you teach your child? Do you want a program that is secular or religious? Are you willing to use different curriculum providers for different subjects or do you want to purchase from one supplier? Will you keep records and grades? Do you want a program with pre-planned lessons and a set schedule? Do you want a program that promotes independent study or one that relies on parent interaction? How much time do you have available to spend on formal lessons? Do you need to combine children of different ages into one program? Will your program need to address learning difficulties or cater to a specific learning style? Does your preferred program include worksheets, tests, hands-on projects or activities? Once you've determined your preferences, ask for homeschool curriculum recommendations in online homeschool forums and from friends in your home school support group. You can also find suggestions in books written by authors who share your home school philosophy. If you are looking for a nonreligious program, view these tips for finding a secular home school curriculum. If your children will undergo homeschool testing, you may want to purchase a test prep curriculum. Here are some helpful test-taking tips. Before making your final selection, read product reviews about the programs you are considering. Here's my collection of over 400 homeschool curriculum reviews that were written by experienced homeschoolers. You may also want to attend a home school curriculum fair so you can view the products in person. Some vendors offer show discounts or eliminate shipping costs when you purchase materials at a vendor fair. 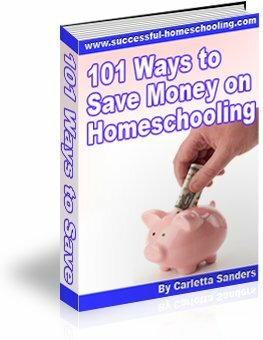 Here are some other tips for affordable homeschooling. Be prepared for the highs and lows that come with purchasing homeschooling curriculum. You will likely feel anticipation as your materials are shipped, followed by the excitement of receiving the products, and regret upon hearing about new and better products your friends are using. It is perfectly normal to feel buyer's remorse after purchasing homeschool curriculum. However, remember why you chose the program and go ahead and use it. If your family is miserable after you've had ample time to get used to the program, make adjustments or start looking for an alternative. Don't overwhelm yourself with multiple programs in order to make sure you've covered everything. Even the best homeschooling curriculum will leave gaps. If you help your children master reading, writing and arithmetic, they will be able to learn anything they need to know. Relax, and enjoy the journey! For more information, check out my article 5 Mistakes Parents Make When Choosing Curricula or read my Homeschooling Curriculum Guide.